The vision of the five-year National Cyber Security Masterplan 2018 is for Singapore to be a “Trusted and Robust Infocomm Hub”. It aims to engender a secure and resilient infocomm environment and a vibrant cybersecurity ecosystem. Developed through a multi-agency effort led by the Infocomm Development Authority of Singapore (IDA) under the guidance of the National Infocomm Security Committee, the masterplan focuses on three key areas. The Government will work closely with critical sectors to carry out cybersecurity exercises (under the National Cyber Security Exercise programme) and assess high-priority critical infrastructure for vulnerabilities and to ensure that security capabilities and measures are in place to mitigate cyber threats (Critical Infocomm Infrastructure (CII) Protection Assessment programme). The Government is also focusing on proactive defense-in-depth to mitigate increasingly sophisticated attacks. The enhanced Cyber Watch Centre (CWC) will provide a wider range of detection capabilities for government agencies with improved correlation capabilities, while the enhanced Threat Analysis Centre (TAC) will leverage on state-of-the-art analytical tools to assess larger volume of data from a wider range of sources and to identify cyber threats with greater accuracy and efficiency. The government will strengthen efforts to raise infocomm security awareness and the adoption of security measures amongst users and businesses. 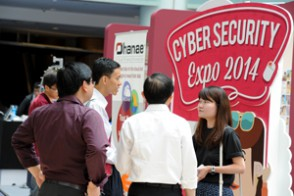 The Cyber Security Awareness and Outreach programme, for example, will augment existing outreach channels through online and social media platforms, educational talks, road-shows, seminars, and print advertorials. The masterplan will also include efforts to facilitate information sharing between the Government and private sector, and enhance collaboration with industry and trade associations to promote cybersecurity and exchange of threat information. The masterplan will look into developing human and intellectual capital within the infocomm industry to boost cybersecurity in Singapore. This will involve working with Institutes of Higher Learning to incorporate cybersecurity into their curriculum or explore the provision of specialist track in the current degree programmes. For security professionals, the NCSM 2018 will foster the development of cyber training facilities for testing and training of cybersecurity experts. There are also plans to promote R&D thereby attracting and cultivating more cybersecurity expertise. The National Cyber Security Masterplan 2018 builds on the efforts of two earlier masterplans – the Infocomm Security Masterplan (2005-2007) which initiated a coordinated approach to securing Singapore’s infocomm environment; and the second Masterplan (2008-2012) that strove to make Singapore a “Secure and Trusted Hub” with special attention paid on the nation’s critical infocomm infrastructure.